I’ve seen the pictures, I read what people have said, but I wasn’t prepared for what I saw and experienced that Sunday. After close to twelve hours of travel (from the time I left the house, including the waiting time at the airport, food breaks, etc), I jump down from the fishing boat into the beach, my fall cushioned by the finest sand I’ve ever come across. So this is Calaguas Island. My work station, analog style. I’ve come across a number of blogs writing nothing but praises for this little slice of heaven in Camarines Norte. It caught my interest, but that time, I was more interested in traveling overseas. So when I saw someone blog about wanting to go to Calaguas and travel with a stranger, I saw it as the perfect opportunity to go. A quick e-mail exchange and a flurry of ticket buying quickly followed and we were all set. Well, not really. There was still the issue of logistics: Calaguas isn’t the easiest places to go to. Our plane ride to Naga (or in the case of my traveling companions, Legaspi) is just the first part of the trip: we still have to make our way to the port to get a boat. With my work and travel schedule, I hardly had time to research about Calaguas. Good thing Chyng has research down pat: she was able to get in touch with people who has been to Calaguas before, and she was armed with printouts come March 7. From Naga, it was a two-hour van ride to Daet, then another 50-minute ride to Paracale. The driver dropped us off at the end of the street, facing an unpaved road leading out to the fishport. The fish port was basically just a beach near the mouth of the river where dozens of boats are docked. Luckily, the first person we asked about going to the island has a boat we can hire. Also, it’s lucky we had Leidy with us, because she was able to haggle the boat’s price down to Php 2,300 from Php 3,000. For that price, the boat will take us to Calaguas, stay with us overnight and take us back to Paracale, stopping by Maculabo on the way back. We left Nelson to get a crew together and get the boat ready. We had lunch at a nearby carinderia and bought extra for dinner that night and stocked up on water, snacks and breakfast for the following day. 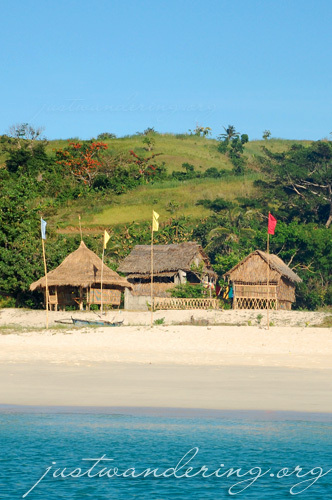 There is no facilities in Calaguas, so whatever you need you have to bring from the mainland. About an hour and a half later, we were back in the fish port, looking at this boat that is made for fishing, not for transporting tourists. Unlike the boats we got used to in Boracay and Palawan, this boat does not have any seats inside. There wasn’t even a roof, so we were sunburned even before we got to the island. White caps can be seen in the distance, and I was dreading that it was going to be a scary ride. But Nelson and his crew knew the sea: the sea is calm and safe for travel. As the island loom closer, cameras came out and several pictures was snapped in quick successions. The ride was longer than what I was used to. The plane ride, the subsequent van rides and now, the boat ride was taking its toll. It was getting late and I was getting antsy. Are we there yet? A long stretch of beach came into view, but our excitement died when the boat veered away from the island and started going around it instead of docking. Another line of white came into view, and this time the boat seemed like it was going straight for it. We were revived by this amazing sight: a line of pristine white beach with a gorgeous gradient of blue stretching from it. We docked in the area marked with several bamboo poles topped with colored flags. Mahabang Buhangin is actually inhabited by Bert Gonzales and his family. He’s been the caretaker of the island since 1987. He has a house on the beach, and he has built a gazebo and another small hut that he rents out to tourists. The hut go for Php 200 per night, while entrance fee is Php 100 per person (haggled down from Php 150). Apart from Bert, his family, the other family living in the other hut, and the boatmen, there were nobody else in the island. Bert told us that a group of tourists just left the island. Lucky we went on a Sunday! We had the beach to ourselves. It’s hard not to fall in love with a beach as beautiful as Mahabang Buhangin. Nevermind that there is no electricity, drinking water or a decent toilet — this is paradise. We had a swim after taking a gazillion pictures, and as it was getting dark, we went out of the water to have dinner. Bert has two toilets in his house, and he let us use them. It was very basic, but there is water. Just be sure to bring a flash light if you’re going to use it in the middle of the night. After dinner, we laid our sarongs out in the sand. Using a make-shift gas lamp that Bert’s wife lent us as a bonfire, we sat on the sand to talk about the day and look at each other’s pictures. One by one, we started laying down, in the guise of star gazing. Soon enough, our eyes started drooping. We all agreed that the sand would be much softer than the wooden floor of the nipa hut, so we decided to just sleep on the beach, under the stars. That was an experience. Sleeping in a deserted beach with only a thin sarong separating my body from the sand, the moon and stars shining down on us from above. Definitely worth the 12-hour trip. cant agree more! i have not seen or enjoyed a beach like i/we did in this one. outstanding! hmm…so calaguas has not changed much since i was there…hope to re-visit (and re-visit) it again someday. that entrance fee is new and also unlawful if you’re to follow the law to the letter. one can buy an island but not the beach (for it’s still public property) that’s why private resorts fencing off beach fronts for their exclusive use should be sued. Very beautiful! 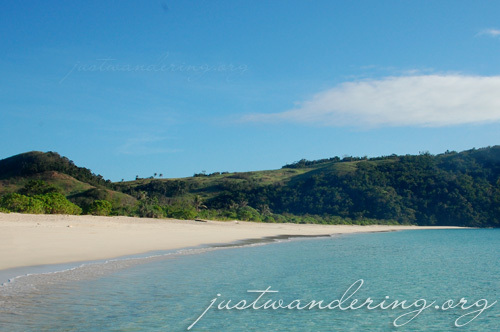 I have always wanted to visit Caramoan but after reading your blog, I now want to visit Calaguas too. Thanks! Nina, I didn’t know you’re going there. I’m from Daet. A bus ride from Cubao or Pasay will be more convenient and comfortable. It’ll only take 6 to 8 hours to Daet. Buses going to Daet, Camarines Norte are Amihan Bus Lines, Philtranco, and Superlines. The beach looks amazingly beautiful. How long was the boat ride? Chyng: Kapag binabasa ko yung Calaguas thread sa GT, naiingit ako kasi gusto kong bumalik na agad! backpacking philippines: Nagtataka nga rin ako dun sa entrance fee eh. Dhon Jason: Ngayon ko lang naalala na taga Daet ka nga pala! Onga, mas madali kung bus, sakto pa kasi morning ang dating sa Paracale. Oh well, next time! Same sentiment. Gusto ko ulit sumama kahit nagpapagaling pa ko ng sunburn. Loooove! Camarines Sur is a hidden paradise for me, what with its stunning beaches, the waters a vivid turquoise.The pictures are fantastic, Nina. Wish I was there! Such pretty photos, Nina! 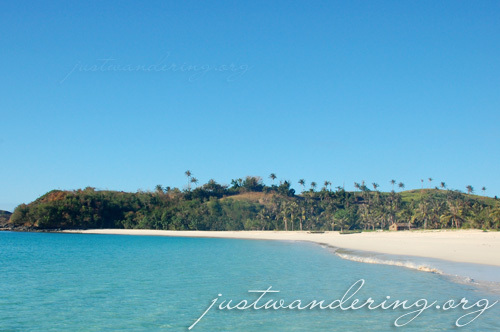 My friends and I have been planning to go to Calaguas next month, and this blog entry sealed the deal! Thanks for sharing this, Nina! I am a regular reader of your blog and it’s just getting better and better. I’ve heard of Calaguas before but your entry hit the nail! Galeng! What a beautiful island! Nina, I’m dreamily drooling while reading the post. last time i was there, i have with me my handy dandy film camera… can’t wait to go back. good on you! happy trip!!! Wow! After reading your post with great pics. “DAPAT” yatang mapuntahan ko rin ‘to.. =) Thanks for this post. Is it possible to visit Calaguas, Maculabo and Apuao all in one day? I’ll be flying in via the Naga Airport. From there, I can take a car directly to Daet. Ruth: From Naga, it takes 2 hours to go to Daet and another 1 hour to Paracale. From Paracale, it’s a 2-hour boat ride to Calaguas. So say you take the early flight to Naga that arrives at 7am, providing there are no delays and stops, you’ll reach Calaguas around 12 noon. 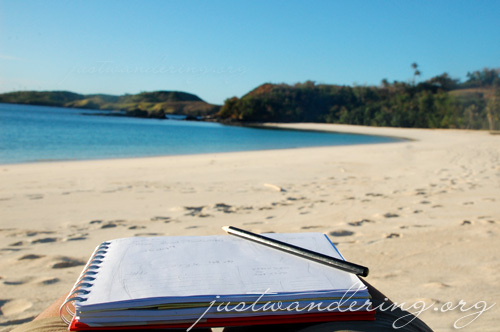 Would staying an hour or two in Calaguas enough for you after all that hassle? Maculabo is about an hour and a half from Calaguas (30 minutes from Paracale), so you can pass by the island on your way to or from Calaguas. The jump off point to Apuao is in the town of Mercedes, about 20 minutes from Daet.